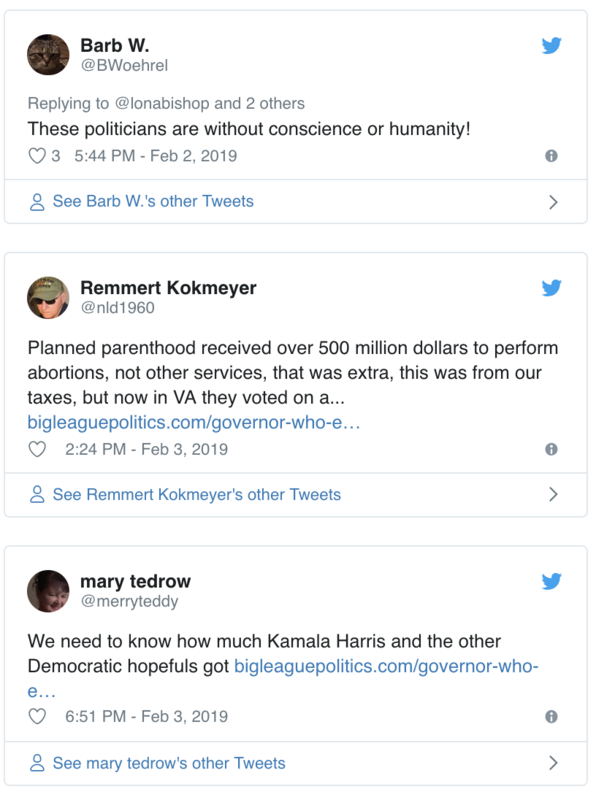 Planned Parenthood called Democrat Virginia Governor Ralph Northam who endorsed infanticide a “champion,” but forgot to mention they donated almost $2 million to his campaign. That means the country’s largest abortion provider was Northam’s third largest contributor in 2017. 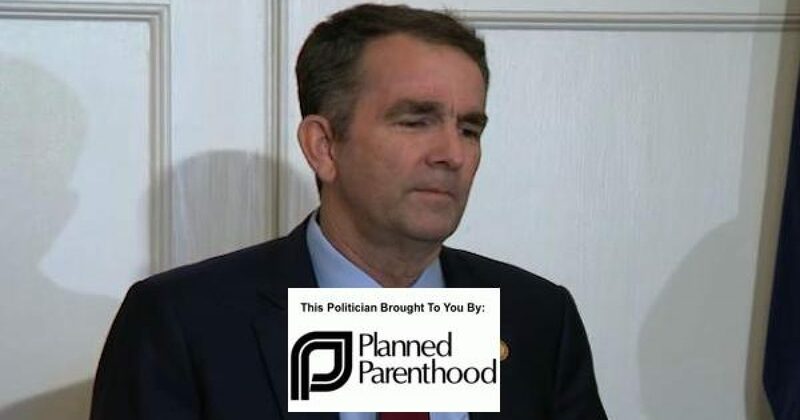 After the horrifying bill and Northam’s disgusting statement endorsing infanticide went viral the bill thankfully was defeated with Virginia officials pledging it would never be voted on. Northam received $1.996 million from Planned Parenthood Virginia over the course of five years, with most of the donations [$1.977 million] coming in during his 2017 election campaign . These include massive cash injections of $338,852, $278,247, $255,641, and other similar amounts in the final days before the election. Truly amazing! The government gave Planned Parenthood $528 million last year. Planned Parenthood donates almost $2 million Northam’s 2017 campaign. Taxpayer money funneled to a political campaign. How is this even possible? Something is very wrong and disturbing with this. As for Northam, next to the blackface scandal, the criticism he received over his endorsement of infanticide may have been the Virginia Governor’s highest low point last week. 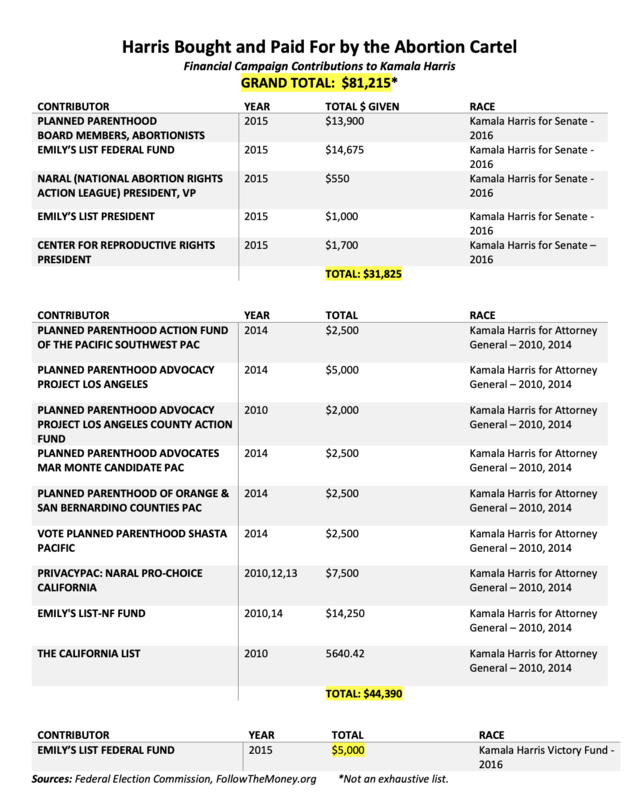 Mary she probably got a lot of cash because when she was running for Attorney General of California through the very beginning of her Senate campaign, Kamala Harris got $81K from Planned Parenthood and other pro-abortion groups.